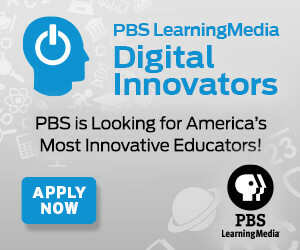 The application period for the 2016 PBS LearningMedia Digital Innovators program is now open. PBS LearningMedia is looking for K-12 educators nationwide who are incorporating digital media in classrooms and serving as leaders in educational technology. 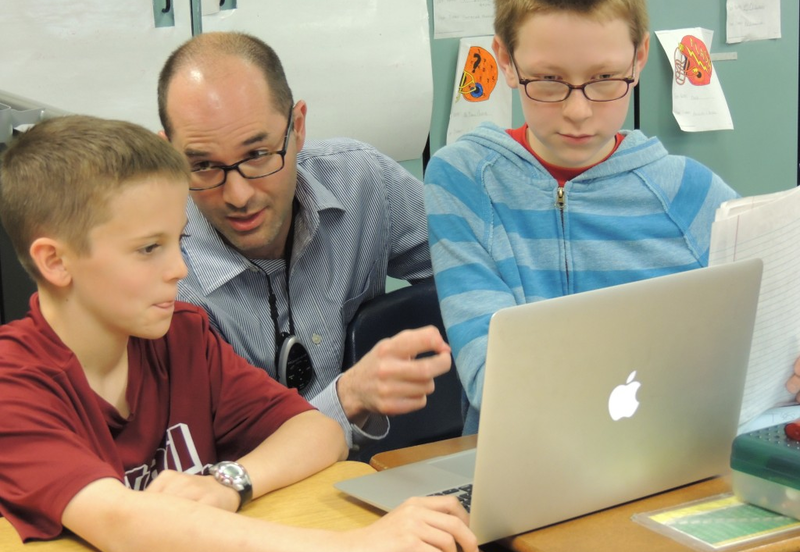 Steve Auslander, 5th grade teacher at Allisonville Elementary School, represented Indiana as a part of the 2014 PBS LearningMedia Digital Innovators program. Learn more about how he is using technology in the classroom, and how you too can become a Digital Innvoator. In my opinion, two of the greatest resources available for any educator are Twitter and Skype. Many teacher friends that I know are on Twitter—using it to follow celebrities, the stock market, and social events in their communities. I think this is wonderful, but, I believe that they are ignoring the potential value added by using these technologies in the classroom. In my classroom, I use Twitter as an avenue to brag about my students to the world. I have found that when I email someone whom I don’t know, I very rarely recieve a response. Those odds are much higher with a tweet. Perhaps this is due to the nature of tweets; in order to fulfill the required 140 characters, they must be succinct. When my students create something special, or I catch them doing something great, I tweet about it: I include a picture or video of them in action, or a link to their creation, and send the message to people or an organization that might be interested. If my students are retweeted or liked on Twitter, it’s wonderful, and when someone “mentions” them and their excellent work, we call that getting “Twitter Love”. “Twitter Love” is affirmation to my students that their work is good work. I’m their teacher. I’m supposed to praise them, and of course, the same holds true for students’ parents. But, when @StarWarsInClass calls one of my students “brilliant”, that holds so much more meaning. Anytime one of my students or my class gets praised on Twitter, I print out the “Twitter Love” and post it to our “Twitter Love” board. We’ve already filled up an entire bulletin board, and hope to fill up a large amount of wall space by the end of year. Recently, during the Hour of Code, I recorded one of my 5th graders passionately describing the game he created using the Code.org Star Wars tutorial. The enthusiasm he felt for his project was evident in the video. So, I posted the video on Twitter, with the #HourOfCode hashtag, and of course, tagged @StarWarsInClass. @StarWarsInClass retweeted the video, and then something wonderful happened--a group called @Teacher2Teacher saw the video and mentioned, “The force is strong in this one”. It was an action that was so simple, but, that "twitter love" comment truly made my student’s year! A few months ago, my class and school were celebrating International Dot Day, a fun way to think about how we all can make our mark on the world. Several of my students created a remarkable Dot Day 2015 cape for me. It was quite epic, and I enjoyed wearing it around the school. I tweeted a picture of this awesome cape and included the #DotDay15 hashtag. Choose Your Own Adventure (@chooseadventure) followed that hashtag and commented that they wanted a cape like that, too--"Twitter Love!" These are just a few examples of how Twitter and an open mind can lead to magic for students. This leads me to another piece of advice, and that’s to follow up and always “go for it!” Upon reading the message from Choose Your Own Adventure on Twitter, I quickly messaged CYOA and told them that if they wanted a cape, we could send them one. One thing lead to another and we ended up creating seven custom ordered capes for the staff of Choose Your Own Adventure. We even made one for the CEO and her dog, too! As a “thank you” for the capes, CYOA sent us two cases of their books. They even Skyped with us, as we created our own Choose Your Own Adventure story. One tweet, an open mind, and a little following up, set this neat project in motion. Another magical moment born from a tweet took place during the Global Read Aloud. My students were reading Fish in a Tree, a fabulous realistic fiction text, written by the amazing Lynda Mullaly-Hunt. My students and I created a game based on the book using the app Heads Up. I recorded us playing and tweeted the video to both the book’s author, Lynda, and to the creator of the Global Read Aloud, Pernille Ripp. It took just a few days, but my students were able to play Fish in a Tree Heads Up over Skype with both of them. This all happened because we "went for it." The worst that would have happened is that they ignored our tweet, but instead we enjoyed an amazing experience and were even able to discuss an extraordinary book with the author. After playing this game created over Skype, a neat thing happened--other classes started connecting across the world and began playing the game with each other. Pernille even had me blog about it in her Global Read Aloud blog. Keep in mind, folks don’t always respond, even on Twitter. For example, my students had a dream of Taylor Swift retweeting our Math music video of “Remember to Simplify”, a parody of Swift’s “Style”. Despite our best efforts, she has yet to retweet us. But the journey is half the fun, and I think it teaches the students a valuable lesson to always go for it. Another great resource is the Skype in the Classroom website. It’s filled with wonderful lesson ideas and ways to connect with like-minded and inspired educators across the world. It’s also great way to set up a guest speaker to virtually visit your students, or to set up a Mystery Skype with a class anywhere in the world. Just two weeks ago, my students and I participated in the Skype in the Classroom 48 hour Skype-a-Thon. In two days, we Skyped with a teacher in South Africa who explained about colonization and settlements, our current area of focus in Social Studies. Then, we played a math game I created called “Mystery Decimal Area Code” with a class in Kansas. We also Skyped with Dan Forman, the managing editor of CBS in New York, Sree Sreenivasan, the Chief Digital Officer at the Metropolitan Museum of Art, and my friend Kevin, a programmer at Twitter in San Francisco. The next day, we engaged in a fascinating discussion with Idan, my friend who shared about life on a Kibbutz and taught us about Hanukkah. Finally, at 3:00 pm, on Friday, we called a teacher in Australia who greeted us at 7:00 am on Saturday morning. It was one heck of an adventure in learning, and it all came about through Skype in the Classroom. Twitter and Skype are your friends. Go ahead and continue following your favorite actors, but maybe consider creating a new educator account and start bragging about your students. Often, a connection that began on Twitter turns into an engaging and educational Skype call. It’s fun to see what kinds of adventures await just from one tweet. Are you an educator who is using technology in the classroom in unique and creative ways? We want to you to represent Indiana during the next class of PBS LearningMedia Digital Innovators! Applications are open until February 8th. More information about the program and how to apply may be found here on the PBS LearningMedia website. 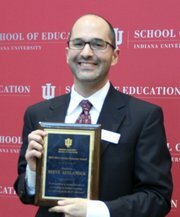 Steve Auslander teaches 5th grade at Allisonville Elementary School in Indianapolis. This is his 14th year as an educator. He's been named a 2013-2014 Jacobs Educator, a 2014-2015 PBS Digital Innovator, and recently, became a Skype Master Teacher. want to learn more about how to use Twitter and Skype in the classroom? You can find reach Mr. Auslander on Twitter at @sauslander, or you can email him at sauslander@msdwt.k12.in.us. He loves to connect with educators and classes around the world! How would Indianapolis look with a 90% graduation rate?